Students in Mrs. Wiora’s fifth grade class at Coolidge have been working collaboratively on their writing. 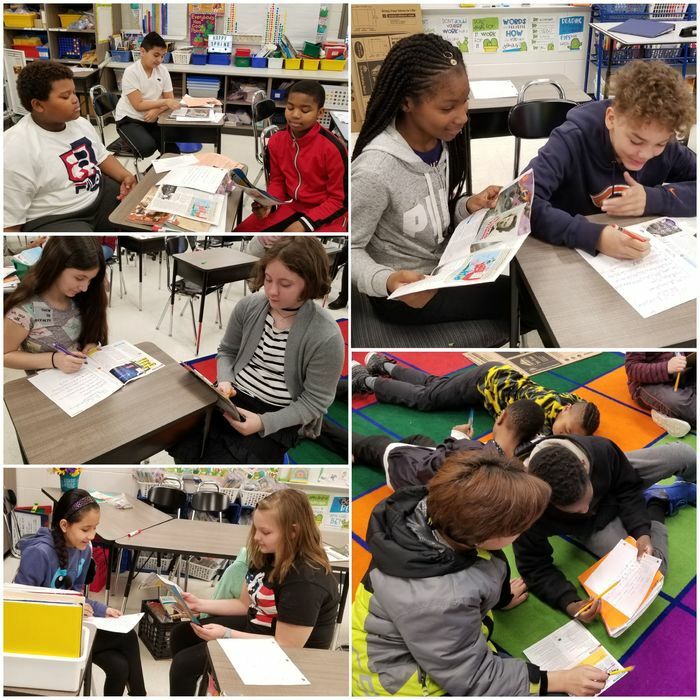 The students wrote key word outlines and wrote a paragraph retelling the “She Risked Everything” article in a recent Scholastic News magazine. Mrs. Lam’s third grade class read "How Do You Raise a Raisin?" by Pam Munoz Ryan and "Raisins" by Margie Sigman. The students were fascinated that raisins are made from grapes. The book said a few days in direct sunlight would turn grapes into raisins. They wanted to see if raisins could be made using artificial light in the classroom. Mrs. Hodgson donated the grapes from her lunch, and the students made predictions and observations for the raisin experiment. The process took 42 days or 6 weeks. So, they eventually made raisins! 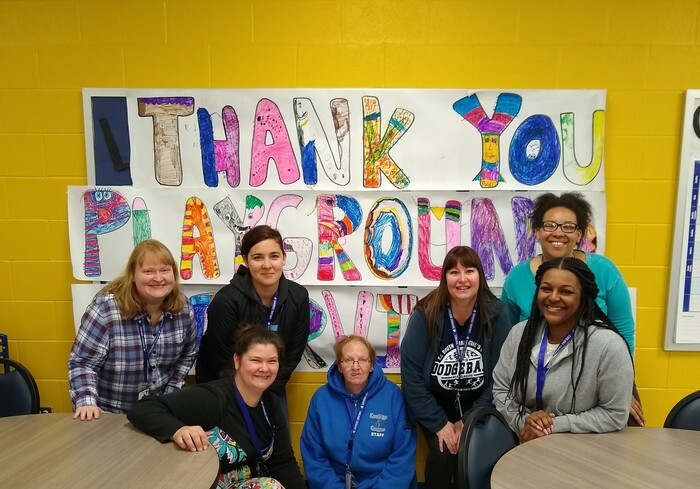 The Coolidge playground supervisors were treated to a surprise party to recognize them for all that they do to care for our students. We are thankful that safety of our students is their priority! The Coolidge Family continues to work together. On Wednesday, April 10, Coolidge fifth graders in Mr. Becker's clarinet sectional were treated to a special lesson. Superintendent Dr. Schilling, who used to be a band director, shared his grandmother's antique metal clarinet from the 1930's! 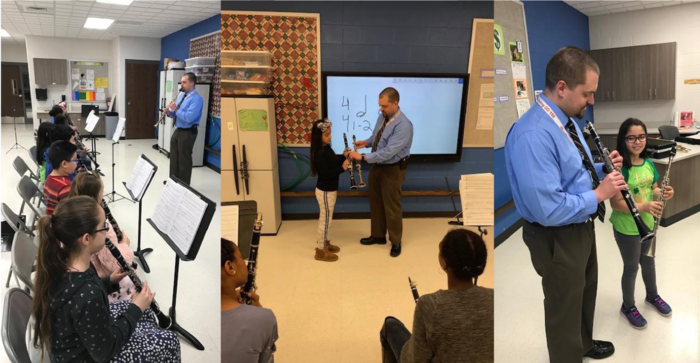 Students were able to see how the instrument has changed, discuss the physics of sound, reflect on their experiences as beginning clarinetists, reinforce good playing habits, and perform a few etudes together. Ydalis Alvarez and Jasmine Gonzalez were even called up to demonstrate! Dr. Schilling will be sharing this lesson at other District 158 schools in the upcoming weeks. 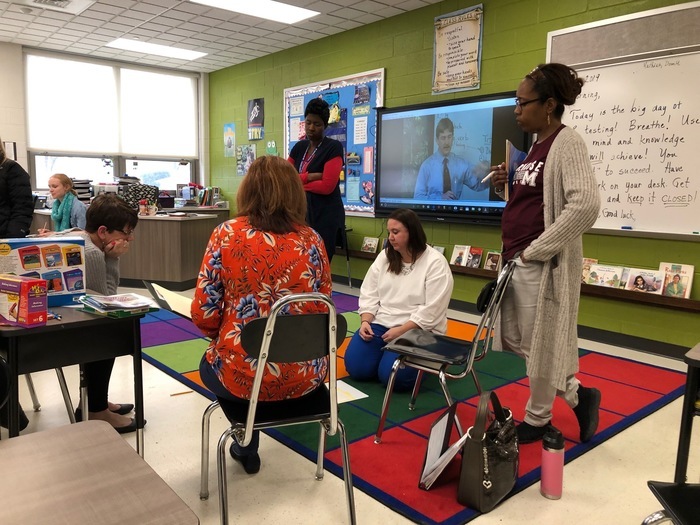 To improve teaching and learning, the Coolidge teachers researched fiction and nonfiction resources and planned a new methodology of teaching writing. 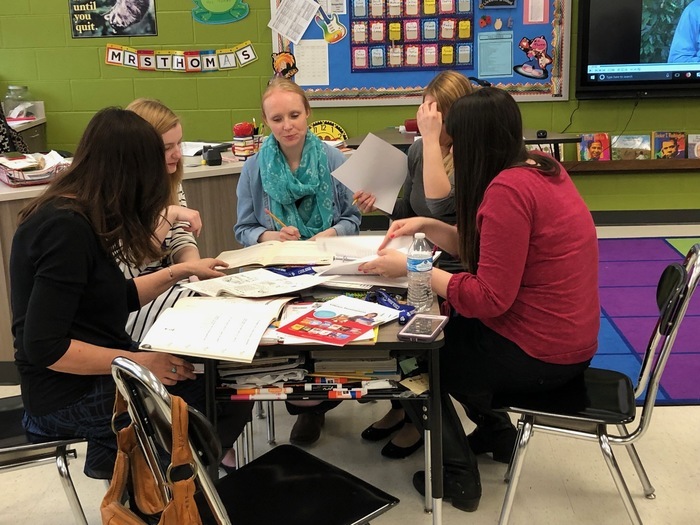 The teachers shared their ideas with each other to make our curriculum even better. Collaboration is a key to success! 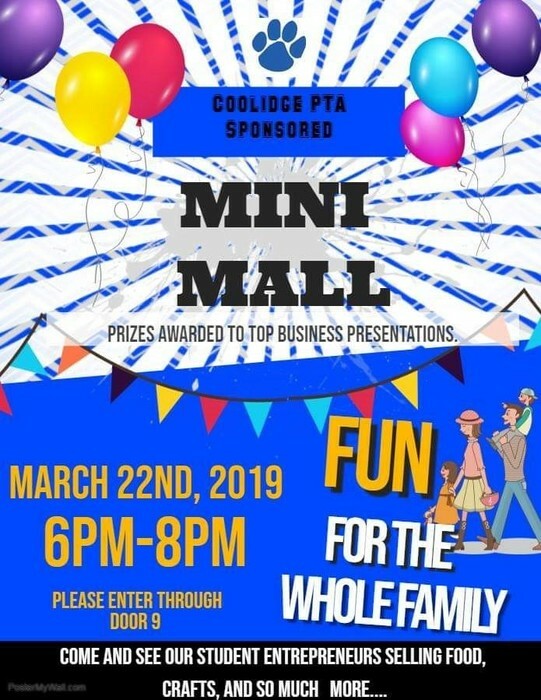 Come check out the Coolidge Mini-Mall and our student entrepreneurs tomorrow night, March 22nd! 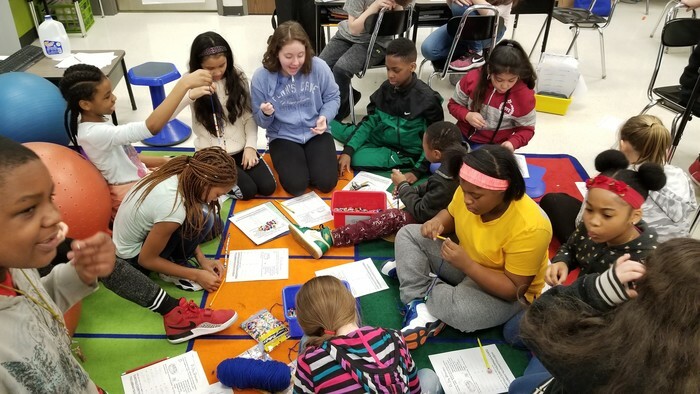 As the fifth graders in Mrs. Wiora's class at Coolidge completed a morning of Pi related activities, students earned time to make Pi bracelets. 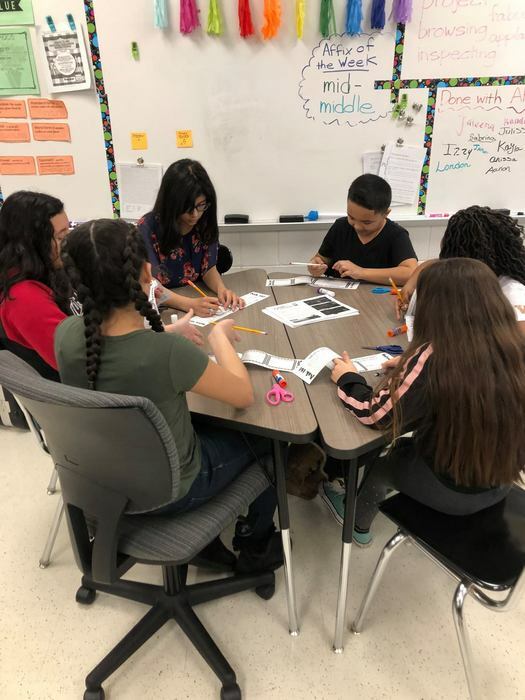 Fifth grade Coolidge students in the class of Mrs. Driver and Mrs. Hays-Smith cooperatively work in small groups on a STEM project. 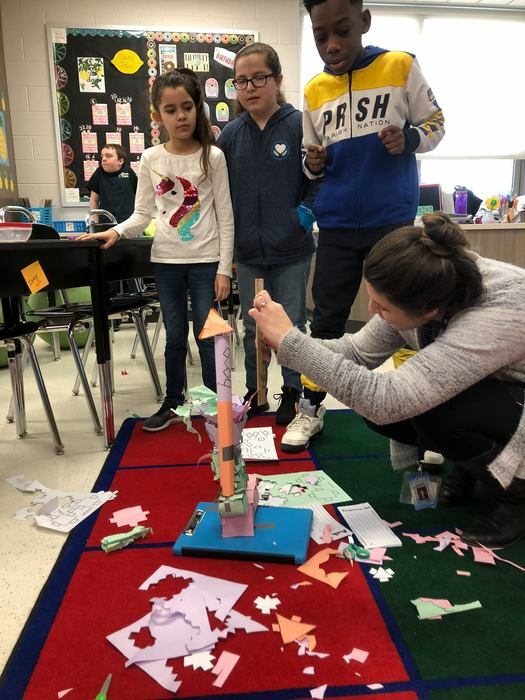 The students were challenged to build the tallest and strongest structure out of the given paper shapes. 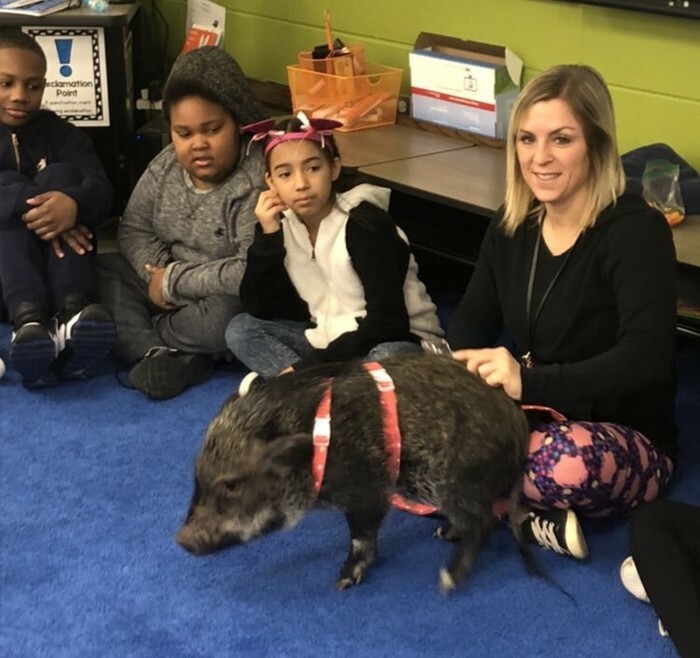 On Friday, March 1- National Pig Day - Coolidge students were treated to a visit by Macie: Ms. Zentz's pet miniature pig! 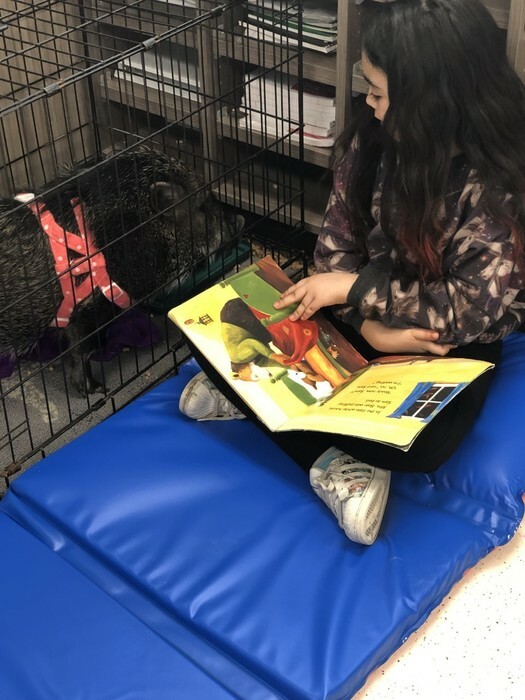 Students participated in lessons with Macie including measuring the perimeter of her cage, reading to her, and comparing pig care to their own self care. 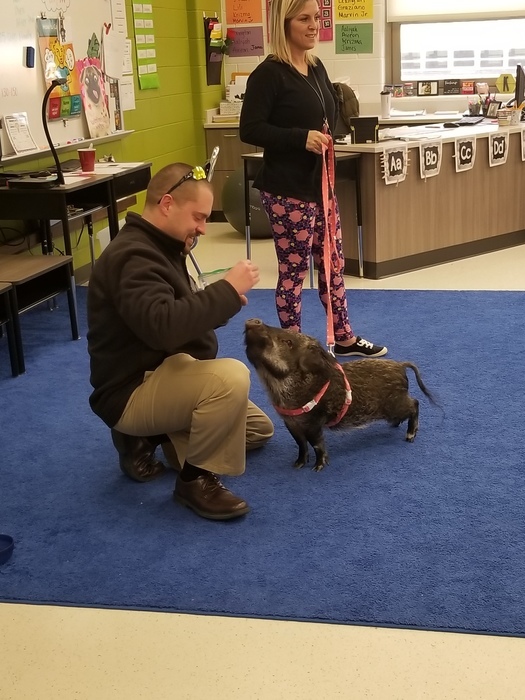 Superintendent Mr. Schilling - a pig parent himself - dropped by to teach her a few tricks! Coolidge parents learned about the scientific method process during the Science Fair Parent Night. Many thanks to Mrs. Driver, Mrs. Jamrock, Mrs. Stablein, Mrs. Wiora for sharing awesome ideas and great tips for a successful project. 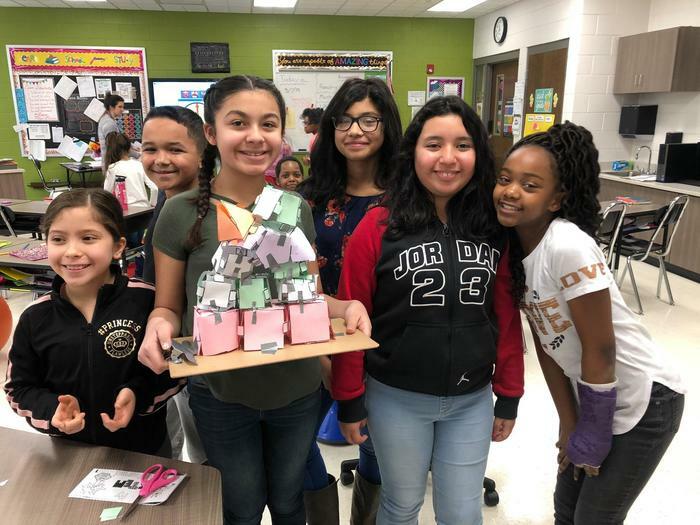 All students are encouraged to participate in the Lansing Area Science Fair on April 6. 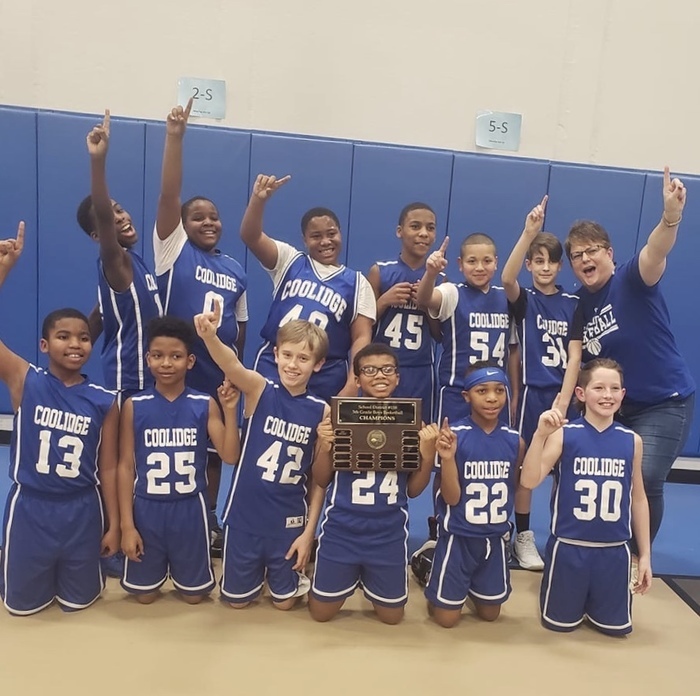 The Coolidge Boys Basketball Team finished the season undefeated with a 6-0 record. A special thanks to Coach Hersom for her dedication, knowledge and encouragement! Congratulations to the boys on becoming District Champions! 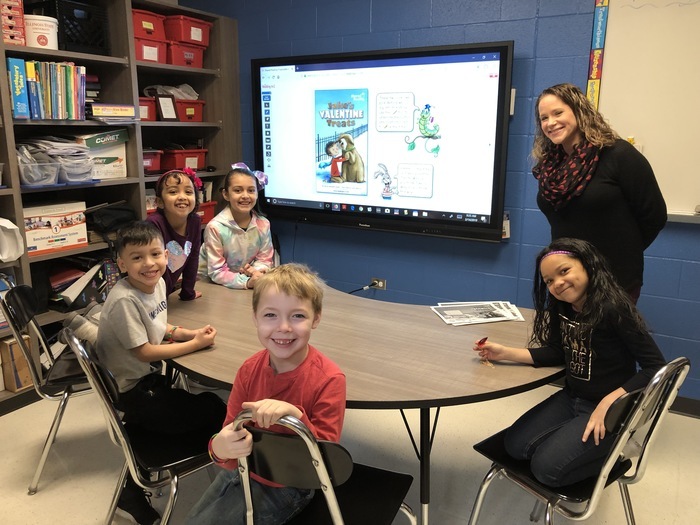 Coolidge first graders working with Reading Specialist Mrs. Spila. Students are reading "Jake's Valentine Treats" and learning how to identify the title, author, illustrator, characters, character traits, and rhyming words. Pictured left-to-right: Kiley Chaidez, Christina Munoz, John Arias, Mason Arnold, and Micayah Mcclenic. Happy Valentine's Day! Progress continues with the Coolidge Renovation/Expansion Project. 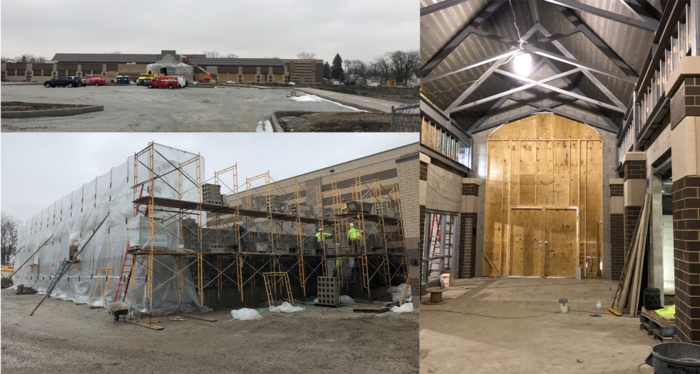 The new main entrance (pictured right) is taking shape and walls are going up for the open kitchen (bottom left) that will prepare and serve fresh food daily to all schools in the district! 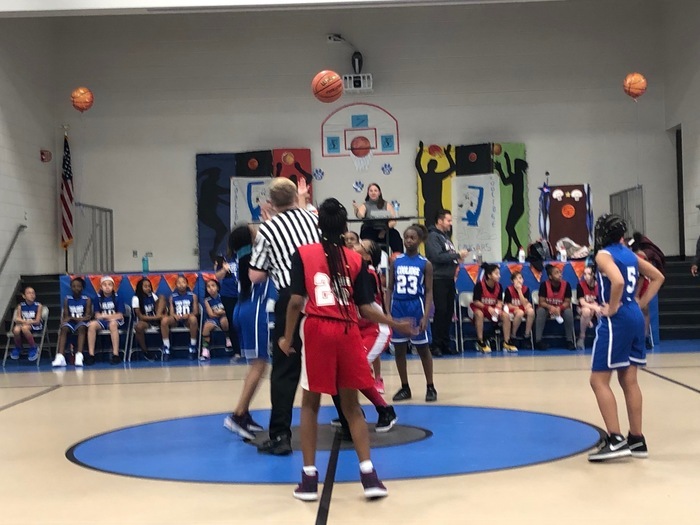 Monday, February 4 was the first basketball game held in the new Coolidge Elementary School gym! Here is the tip-off. Coolidge's boys beat Reavis 18-11. Reavis's girls took the win 4-2. 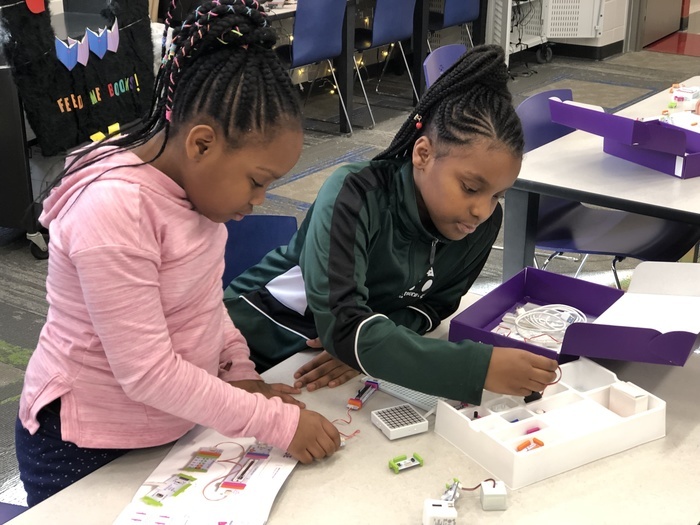 Coolidge third graders built electrical circuits during LRC time. 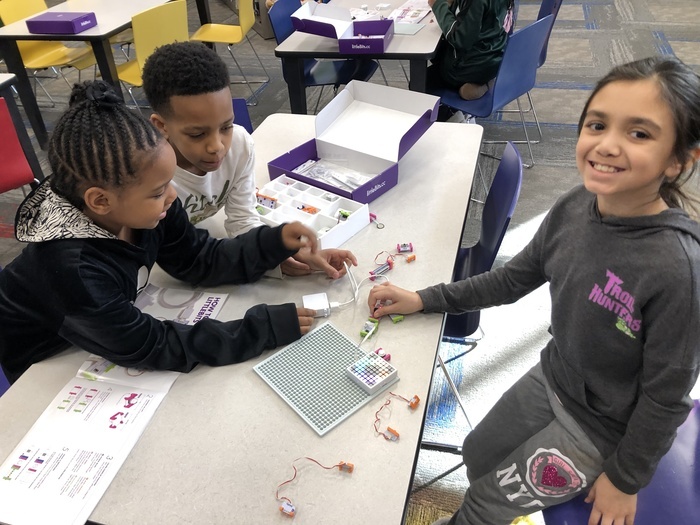 Students worked in groups and learned how a circuit can create scoreboard and sound activated devices. 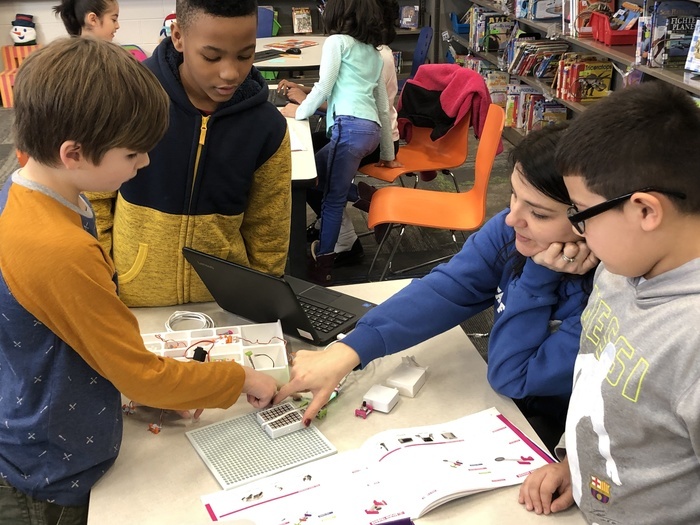 This project was a part of many engaging STEM related lessons being taught by LRC Director Mrs. Fuller. 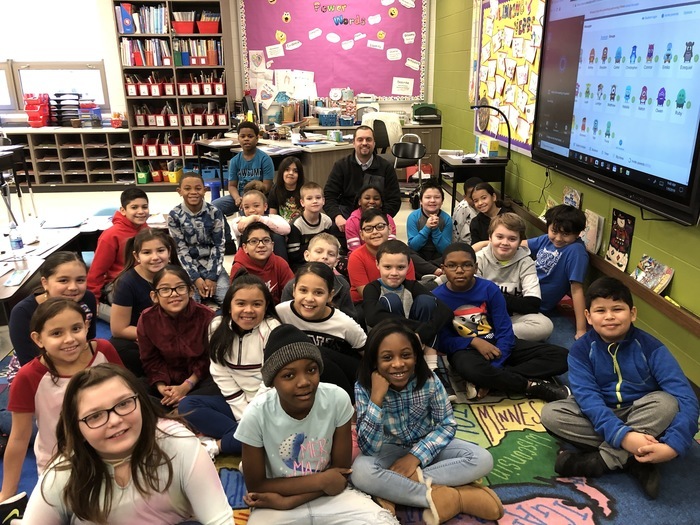 Coolidge fourth graders in Mrs. Heim's and Mrs. Hays-Smith's class on Wednesday, January 9 after their morning meeting, which was student-led by Aaron Carter (back left) and involved a greeting, sharing, and activity. Students are working on speaking, listening, and vocabulary skills. Superintendent Mr. Schilling (back right) stopped by to teach a few science words. 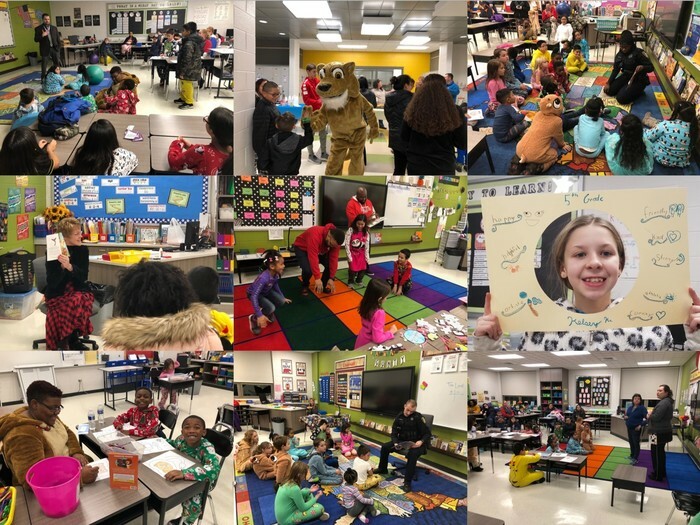 Coolidge Elementary School students had the opportunity to attend Kids Night Out. 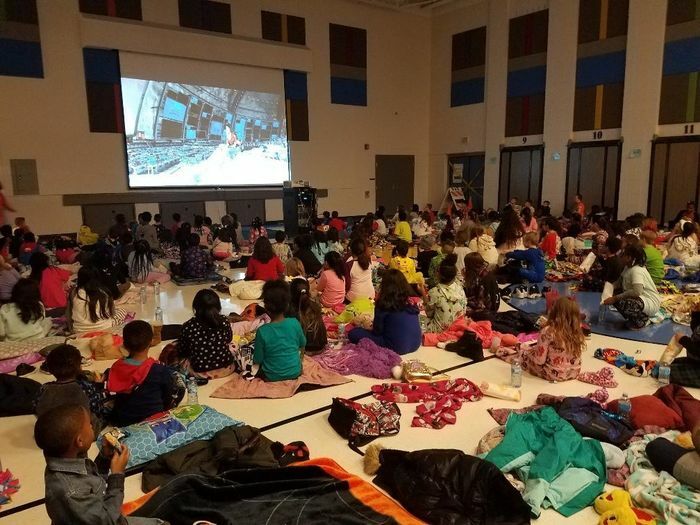 This is an evening where students watched a movie, ate pizza, popcorn, and a rice krispie treat! 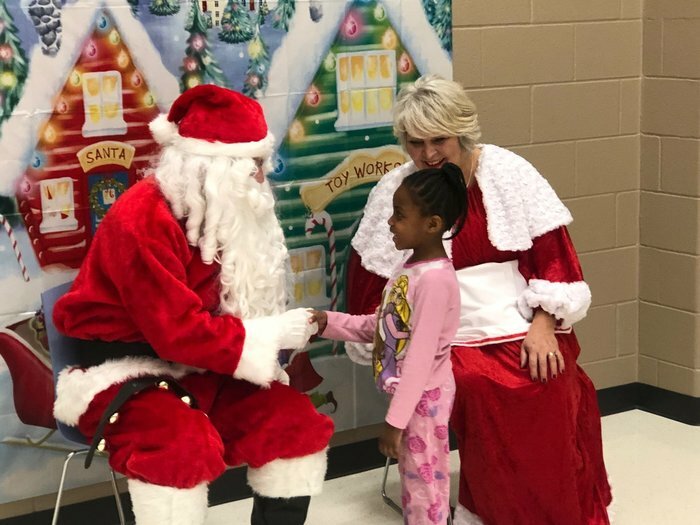 Two of the best things of the night were hanging out with their friends and a visit from Santa Claus and Mrs. Claus! 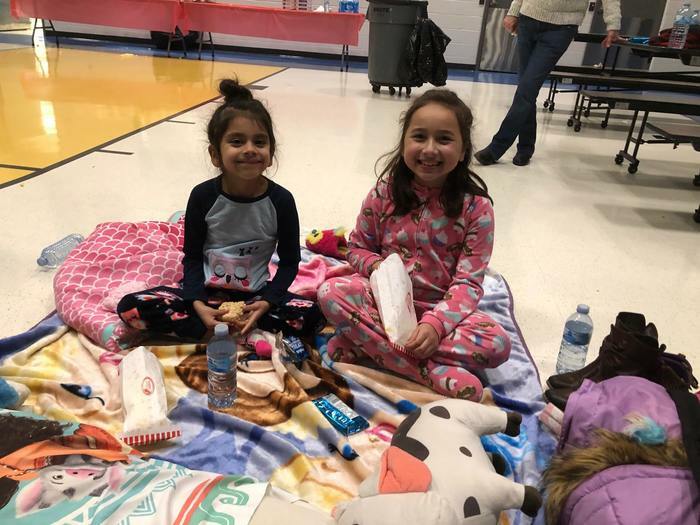 On Friday November 30, Coolidge Elementary School’s PBIS Committee hosted PJ's with Parents. 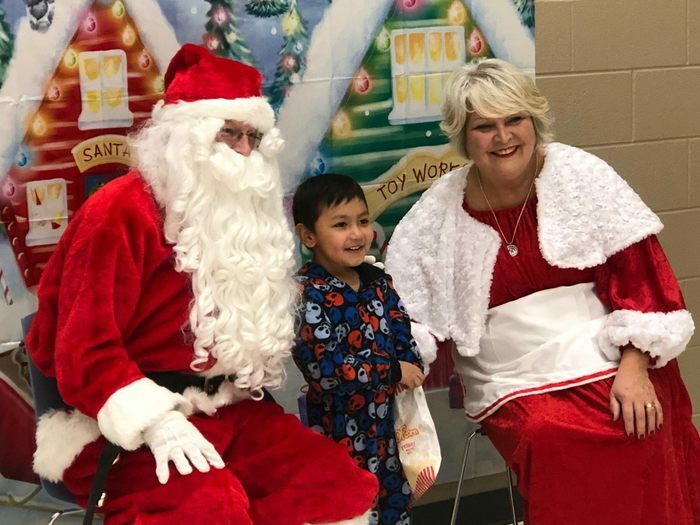 The event was the kickoff to Coolidge’s annual pajama drive for children living in homeless shelters and featured games and crafts focusing on our Character Counts Program. Speakers included Lansing Mayor Mrs. Eidam, Superintendent Mr. Schilling, Ofc. Bogan and Ofc. Murrin from the Lansing Police Department, South Holland Stallions Coach Mr. Terry, and Coolidge Nurse Mrs. Porter. 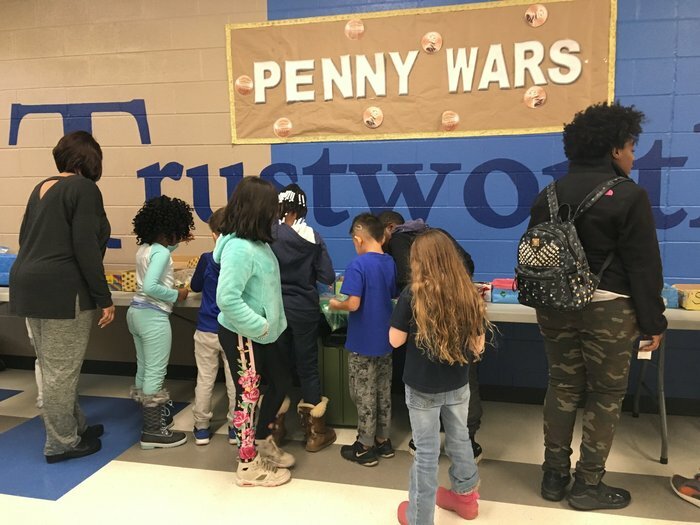 Coolidge School held their annual Penny War and would like to thank all of those who donated money and time to the Penny Wars. 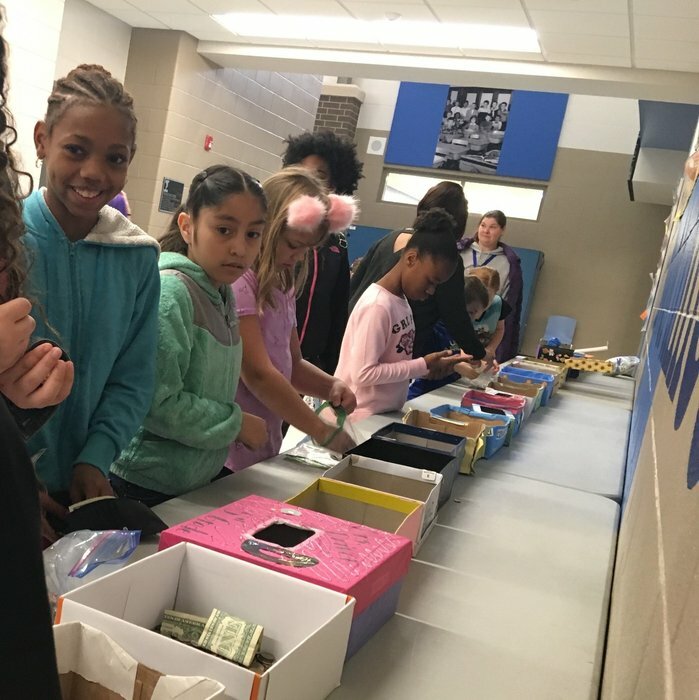 We broke our school record by collecting more than $2,740! What a great Coolidge community effort to help others and to show how much we care! 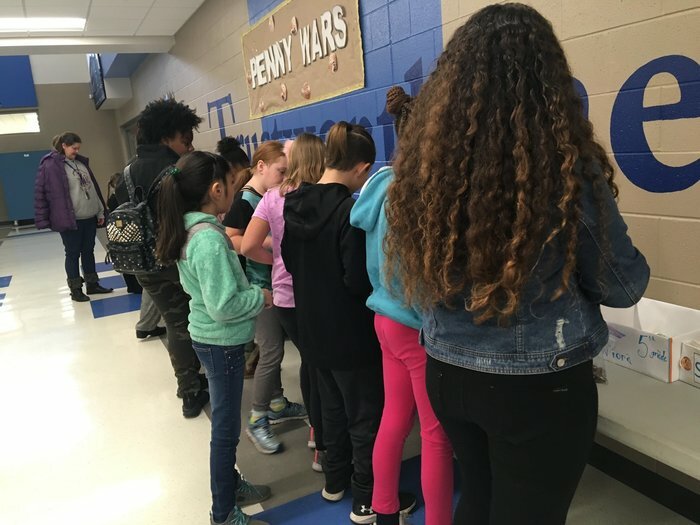 Each class competed by donating pennies (positive points) to their class or nickels, dimes, quarters or paper money (negative points) to other classes. The classes with the most points won a popcorn party. 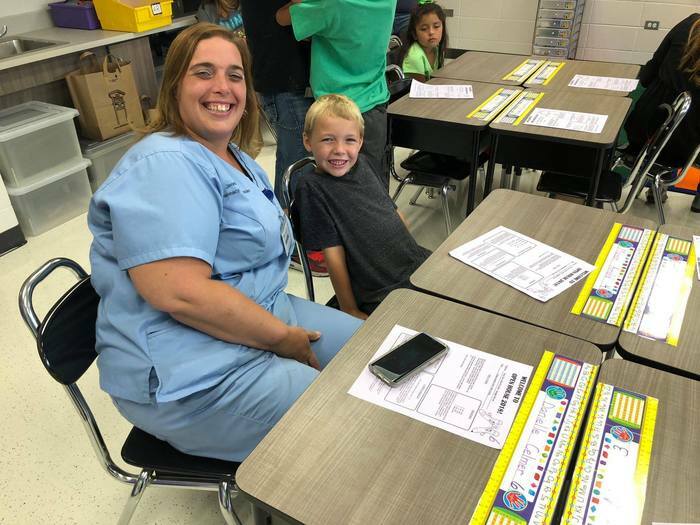 The following classes earned the most points for their grade level: K – Ms. Bireline, 1st – Mrs. Fitch, 2nd – Mrs. Quinn, 3rd – Mrs. Woensdregt, 4th – Miss Harris, 5th – Mrs. Driver. Many thanks to the Coolidge PTA for making this event happen! 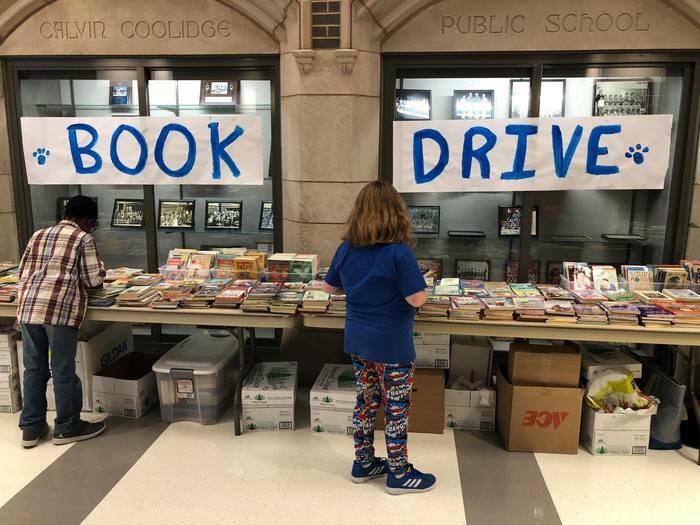 In celebration of American Education Week, Coolidge School held a Book Drive. 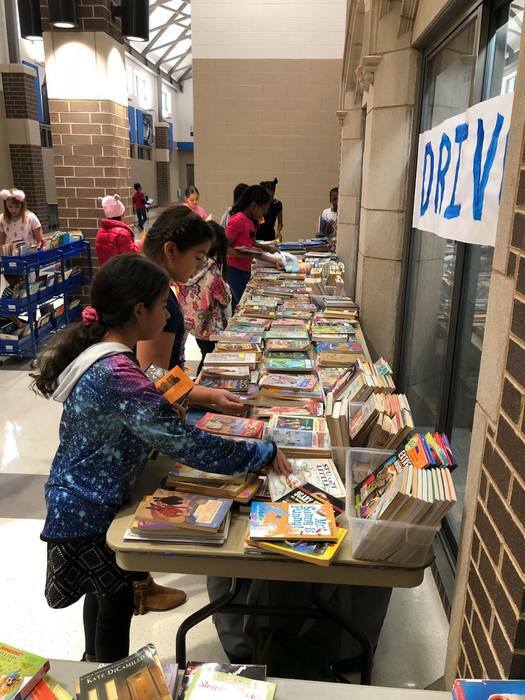 Over 3,000 books were collected. 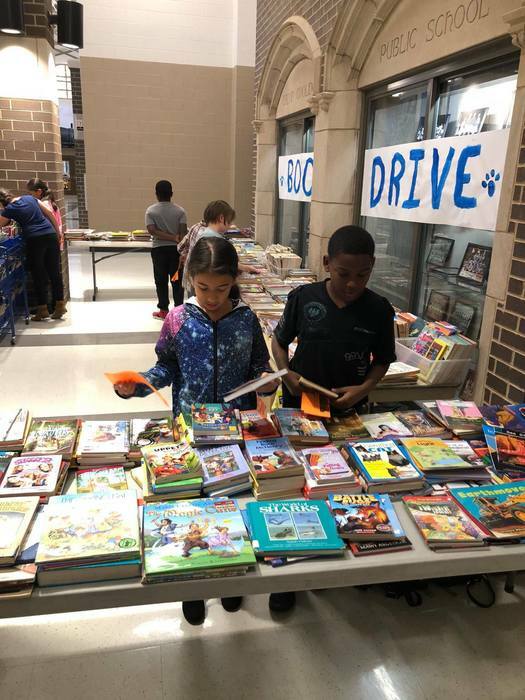 Students who donated books were able to pick out new ones to take home on Friday. 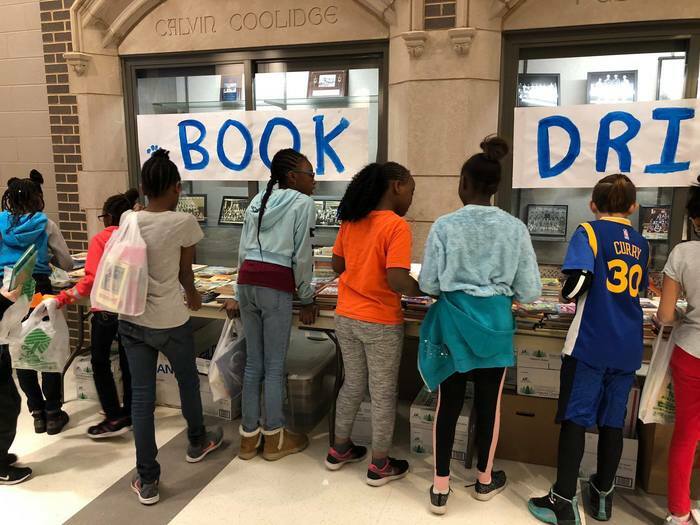 On Monday and Tuesday, all students will be offered an opportunity to pick out a new book to take home. 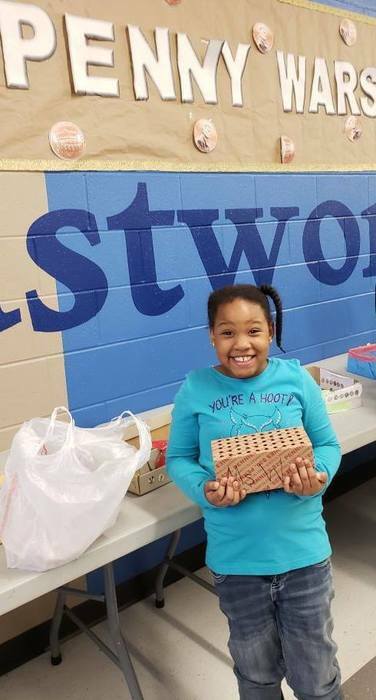 The students were excited to replenish their home libraries. One student said, "This is like a real book store." Another student said, "Do I get to actually take these books home and keep them for free?" Many thanks to our Coolidge PTA for promoting the culture of learning and reading at Coolidge! The second graders at Coolidge are showing how much they care about Thanksgiving! 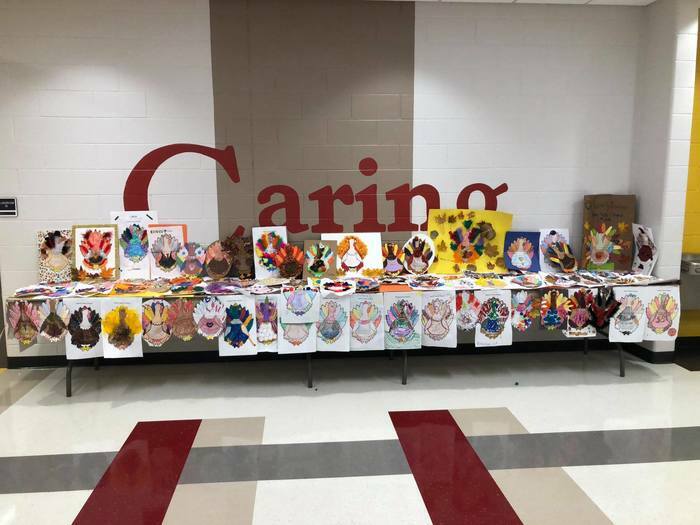 A display of decorated turkey is available for all students to enjoy. 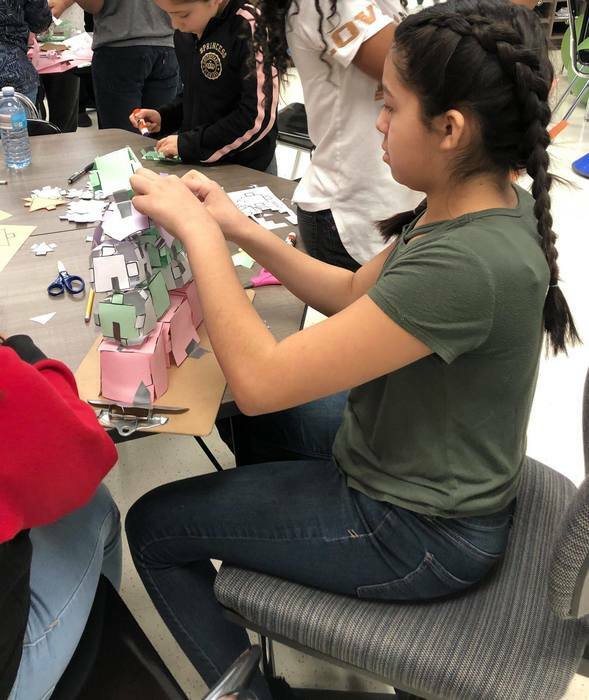 Many thanks to the families who worked together to create such beautiful projects! 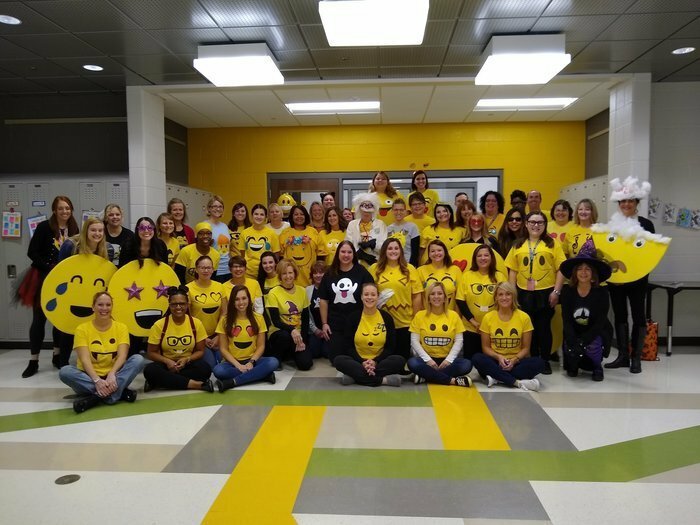 Happy Halloween from Calvin Coolidge Elementary School! 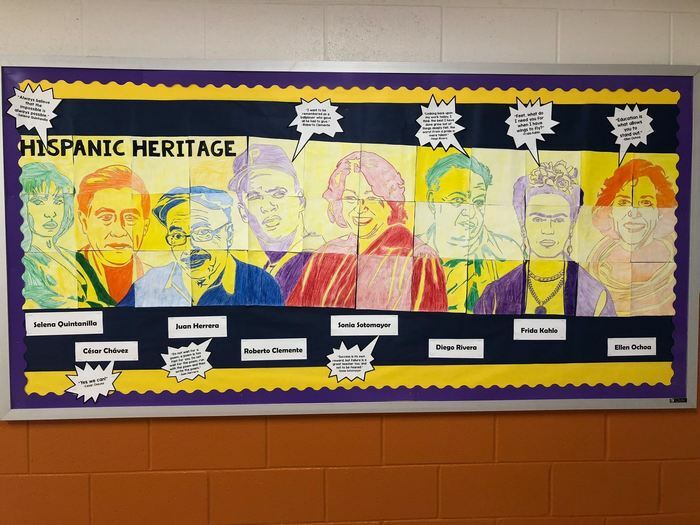 Mrs. Stablein’s class, with the help of Mrs. Nieves, created this bulletin board to celebrate and recognize Hispanic Heritage month (September 15 to October 15). We have been saying the Pledge of Allegiance in Spanish and English. Students are also taught one word or phrase in Spanish every day. 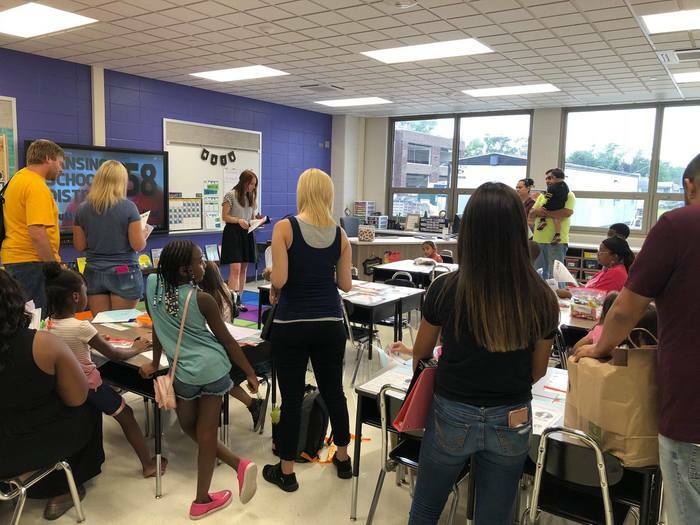 Coolidge Elementary School parents and students celebrate Open House 2018! 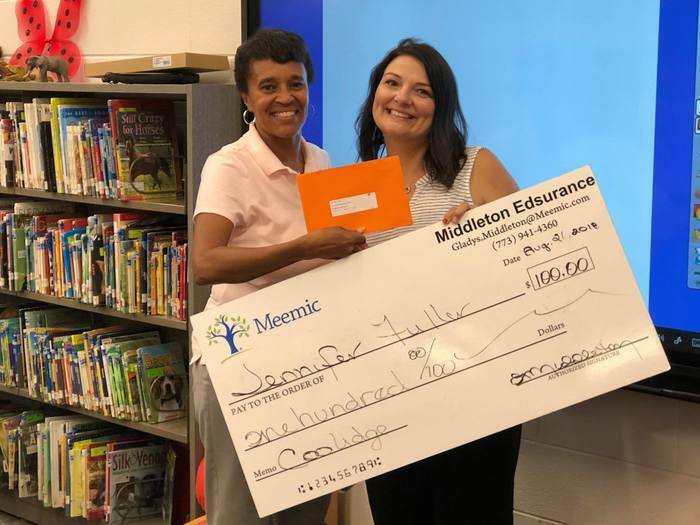 Congratulations to Jennifer Fuller for winning the Meemic Foundation’s $100 Back-to-School Supplies Grant. 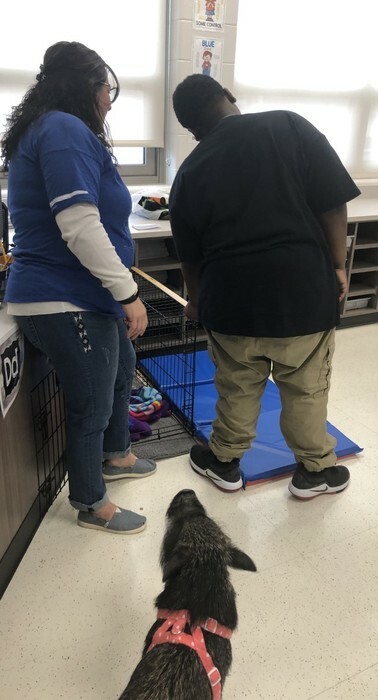 Mrs. Fuller will use the grant money to buy supplies for the new Coolidge LRC.